Although the ingredients are few and recipe sounds easy and simple, it does take some experience to prepare these melt-in-the-mouth temptations. It’s here that Chandralekha Aunty came to my rescue and has been very kind to share this recipe and Chicken Masala Balls recipe and here I am blogging this fragrant tender sweetmeat. These square delights while being deep-fried give the kitchen a really warm, sweet wholesome fragrance and emerge completely tender on the inside with a golden crisp crust. Those of you, new to this sweet, try them and you feel compelled to prepare them again and again. Ensure that you keep stirring the mixture as it cooks. Gently remove the raw squares from the wet cloth only when the spread out mixture has completely cooled down. Wishing you all a very Happy Pongal!. May this festive season be filled with lots of traditional festive foods and the people dear to you! 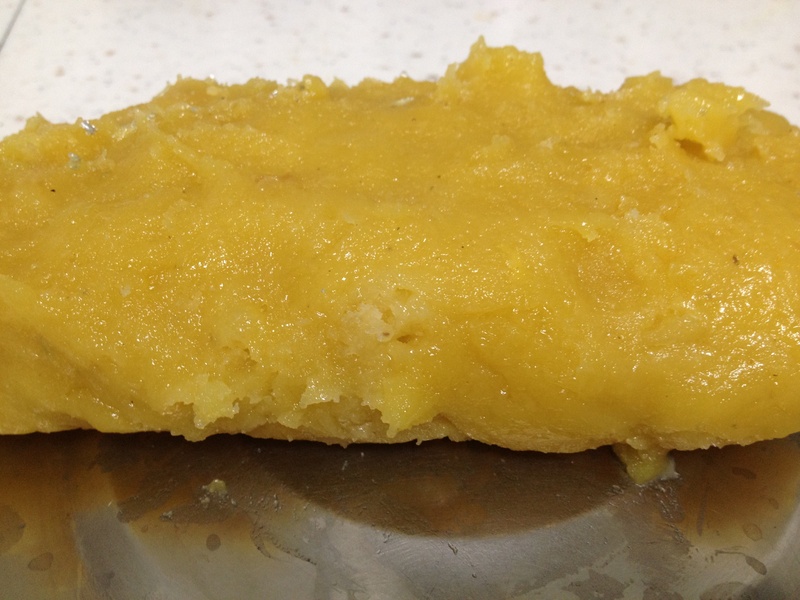 Soak moong dal for an hour, drain and grind to a fine paste adding a 3-4 tbsps of water. You can even grind it without adding any water. Heat a heavy bottomed vessel and add the sugar, the ground dal paste, grated coconut, cashewnuts and mix well. You will find that the sugar melts and the mixture begins to form bubbles while cooking. Cook this mixture on low heat, stirring continuously till it forms into a thick lump. Remove from heat and mix cardamom powder and pinch of salt. Immediately transfer the mixture on to a wet cloth and spread the cooked mixture over it (like shown in the picture above). Using a flat laddle which has been oiled and gently spread the mixture to form 1/2" layer and cool. Cut into desired shape and separate the pieces very carefully lest they break and keep aside. 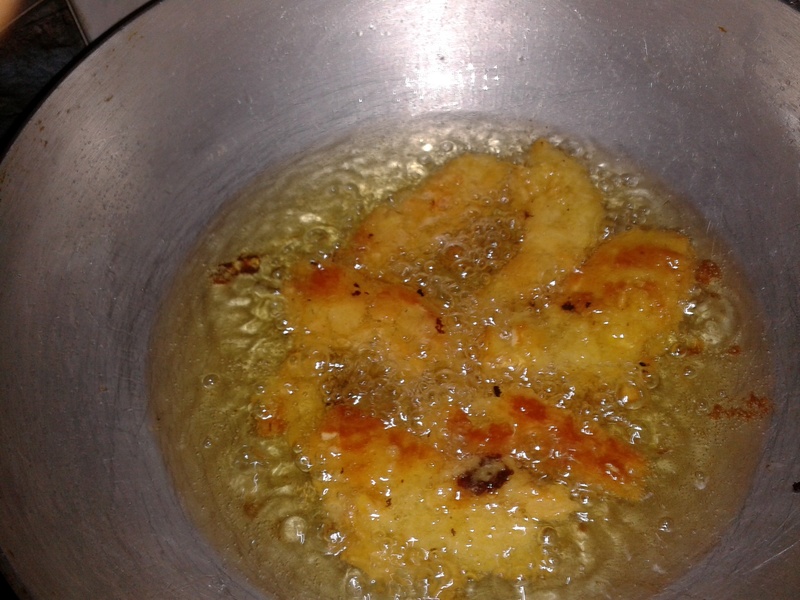 Heat oil in a wide heavy bottomed vessel and deep fry the squares till golden brown. You can deep fry a batch of six to eight depending on the size of the vessel. Serve warm or cold. Store in an air tight container as they last for at least 4-5 days. Don’t think I’ve ever eaten these, Sailu! Which part of AP do they come from? I’m surprised, Sra. They are pretty popular in our parts here in Coastal Andhra. Of course its a very old traditional sweet. 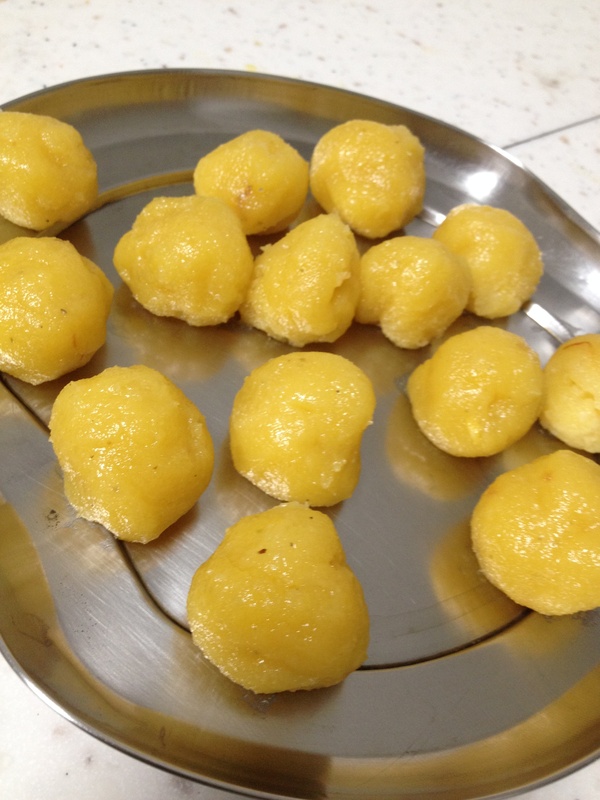 The sweet is new to me, but am sure this is a keepsake recipe.Thanks for sharing!Happy pongal! Happy Sankranti to u too. Very interesting post never eaten this sweet. Sounds interesting. Thank u for visiting my site and appreciate your comment. Sanranti subakaankshalu !! The chicken balls look absolutely yummy. My eyes are burning just seeing the amount of chillies!!!! Sailu , I have a question.. Ur site takes a long time to load. Y is that ?? Do others also have the same problem or is it just me ??? Sankranti Subakaankshalu, Revati. I am having some server issues which will hopefully be resolved soon. Thanks for being patient. I’d totally want this warm! I was quite surprised to see your post on Candrakantalu cos i too made the same sweet for pongal and that was my first trial. They came out pretty well for me too. I would suggest a few changes though. 1. 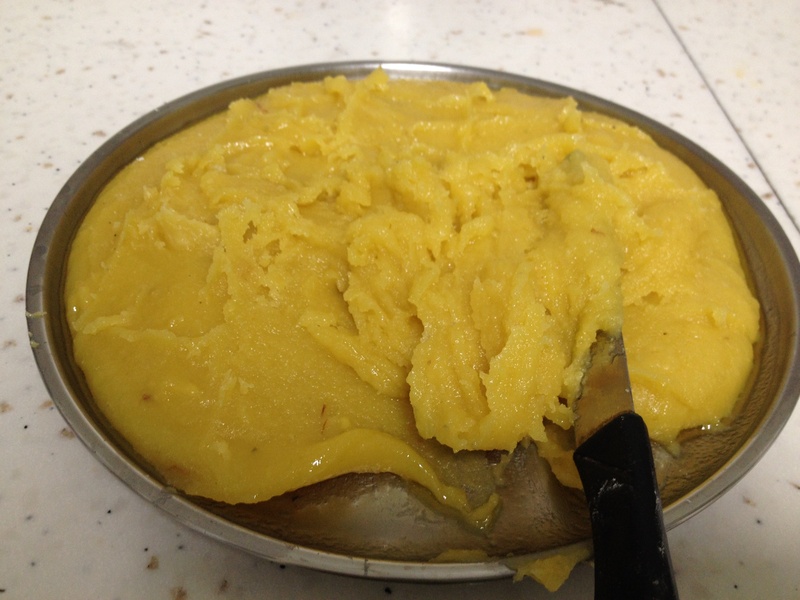 Fry coconut in 1 tsp ghee till slightly brown and then add dal mixture and sugar to it. 2. Soak moong dal with one tsp rice for 1-2 hours and then grind it coarsely. Adding rice gives crunchiness to the outer layer. Thanks for posting the recipe and the pics are awesome. Hi Sailaja, I blogged about this one too recently..I had made it for new year. Just love this one. Nice pictures too. My mother in-law makes booralu with same Ingredients and procedure. By the way vizag lo meeru ekkada untaru? Thanks for informing. Add along with grated coconut. They look delicious and my mouth is watering already. Thanks for the recipe Sailu and thanks to Chandralekha aunty also. 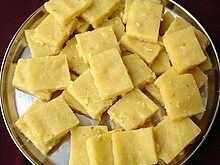 Looks so delicious…yummy sweet..i have never heard of it before..will try….Thanks for the recipe..
oye,Sailu..me need these chandrakantalu,right now..hehe. Actually i like these sweets a lot.. My amma,sister,mom-in-law do these sweets.. but i like them done by amma only.. 🙂 I wonder, all of them do it with same effort..but why the difference in taste? And one vote from my side..
looks divine. never tasted this before. I tried ur recipe & it was delicious… Thx. But when deep frying (even though on low heat) mine turned brown quite quickly & could not get the golden hue as in ur pictures.. Any suggestions for that?? the sweet looks really yummy … i would like to try it out for sure, but could you please tell me what kind of cloth to be used , coz u mentioned that we need to pour the mixture on to a wet cloth, so shoudh this be that musslin texture or any cloth would do. please let me know. Meghana, any material will do, just ensure that you have at least 3 layers of the cloth your using. Fold whatever cloth your using to make 3 to 4 layers. My ammamma used to do those for festivals…in srikakulam…. I am also sailaja from Vizag currently staing in US for last 10 yrs. I know this sweet but I would like to add an other ingredient .. which is Sanaga Pappu (Chana Dal). If you add the pesarapappu and sanagapappu in equal portions and continue the remaining procedure as it is.. it will be even tastier. can u help me in telling how to make gorimitalu? my son likes in very much .i don’t know how to do please help me. I am totally impressed with the recipe for Chandrakantalu. I am from A.P too but this sweet is new to me. I tried it today and it turned out great. Just in time for my weekend party. Sailu I have a concern regarding your recipe being posted on another website. I thought I should bring it to your notice. Every detail in the recipe is the same. Check the link below. Thanks for your kind words, Sumana and appreciate you taking time to inform me. I try most of your recipes..and they turn out exactly like yours… but chandrakantalu were a failure… i made Kajjikayalu and chandrakantalu today and the texture of the chandrakantalu was soggy even though i struggled a lot to take care the texture comes right…. so ultimately i had to turn the paste into modak kinda thing and use it as kajjikayalu filling… First failure so far..i was badly disappointed.. but I guess its my mistake of not using a cloth… i used 3-4 layers of thick tissue roll. i am not sure if that’s what went wrong…I would give it another try! I made this one a while back -I was so excited before making it – somehow the recipe didn’t taste as good even though I followed it exactly. hey sailu, u have been wonderful in d world of cooking and can u please do a favour …we don’t know meaning of cardamom powder. 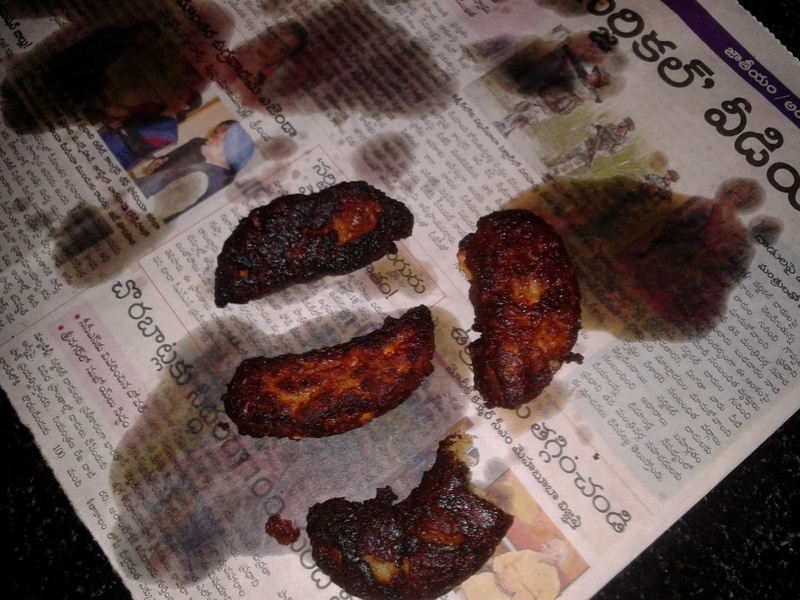 Hi Sailaja Garu, I was intoduced to your recipes by my cousin…I tried Chandrakantalu for the first time today after following your recipe and it came out well….My children also loved the Veg patties and roti kathi….thanks for your lovely recipes…..Happy Diwali.. The chandrakantaalu look absolute gold! 5 stars for you Sailu garu! Now more people can cook them thanks to you! Mom made chandrakantalu after many years this sankranti, due to it’s prep she gets very flustered as there are other dishes to be cooked and the fact that sons-in-law and the little grand children are eagerly waiting for the lavish lunch…Oh and my sis likes the raw ones before the deep frying…I am the one who likes the red crispy ones. Yum dish this one! Good to know that there are other andhraites out there still in touch with the golden oldies in recipes.